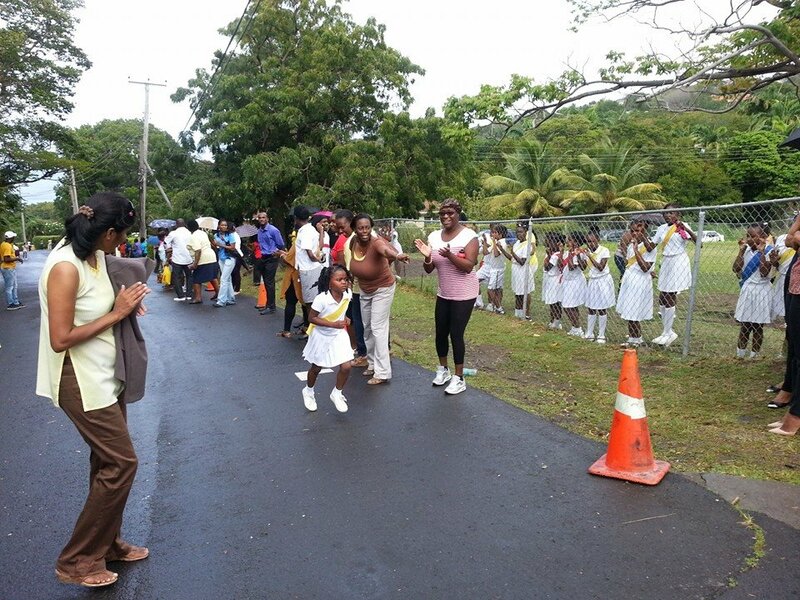 WOODLANDS – Red House took the lead in the St. Augustine School Road Race held on Friday, March 6, 2015. Leading the pack with 156 points, Red House is the hoping to dethrone Yellow House as the reigning champions. Yellow House was in second place with 131 points followed by Blue House with 120 points. 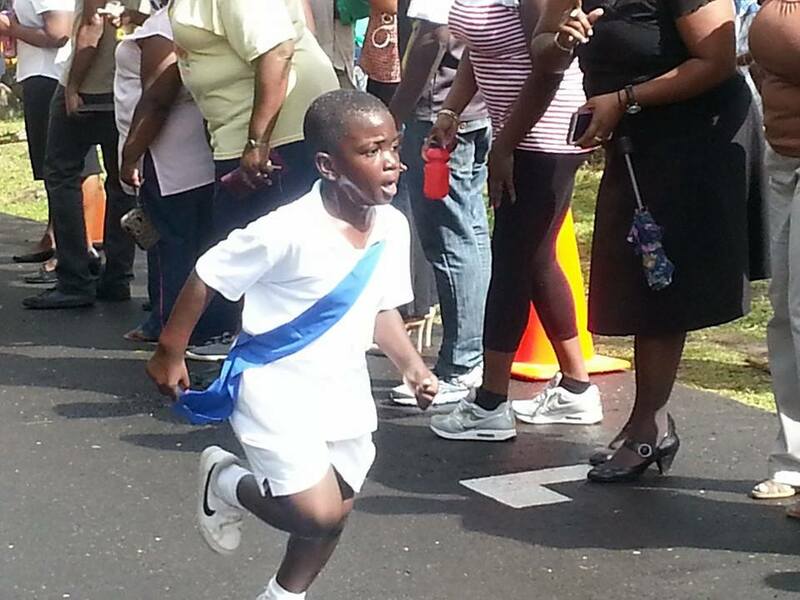 In the Class 1 (5-7 year olds) Boys: 1st place went to Deangelo Samuels of Red House who completed the race in 4:28. Shimu Fearon was 2nd for Red House in 4:38. In 3rd place Emerson Kirnon of Yellow House completed the race in 4:55. Hadassah Williams (Blue) took the top spot for the Class 1 girls in 5.01. Crystal Ogarro (Yellow) finished the race in 5:06 to take the 2nd place followed by K’juanette Jeffers (Yellow) in 3rd place having finished the race in 5:07. In the Class 2 boys (8-9 years category), Deshawn Allen (Blue) was first in 4:37, followed by Sheldon James of Red in 4.41. Shenti Osborne (Yellow) placed third in 4:46. Ketura Daley also of Yellow House took the top spot for the Class 2 girls finishing in 4:52. Alyssa Allen of Blue House was second in a time of 4:56 and 3rd place went to Jaena Golden of Red House in 4:58. In the Class 3 Boys category for pupils 10 years and over Jailon Lee of Red House placed first in 4:11, second place went to Jermarie Meade of Yellow House in a time of 4:11 and in third place was Princewill Madu of Blue House in 4:24. The Class 3 Girls category was topped by Shy-ann Abrego (Blue) in 4:55 followed by Shay-Reece Chambers of Yellow in second place in a time of 5.52. Sharyn White of Red House placed third in 6:13. Sports Day is scheduled for Thursday, March 19, 2015 at noon down at Little Bay Field. Information Sourced from Spirit of Montserrat.